Elaine didn’t hesitate to face the new challenge of active duty. But she hated to leave her patients behind. Fortunately, she had help with the transition and the goodbyes. 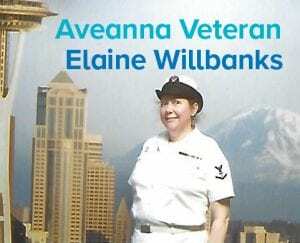 Elaine served in the Navy as a hospital corpsman until 2008. Then she came right back to her Aveanna patients to continue her mission of service. In whatever situation she finds herself, Elaine remains ready and willing to sacrifice. She puts others first. She makes us proud to call her one of our own. Thank you for your service, Elaine, and Happy Veterans Day to you and every veteran for all that you do for our country and our families.